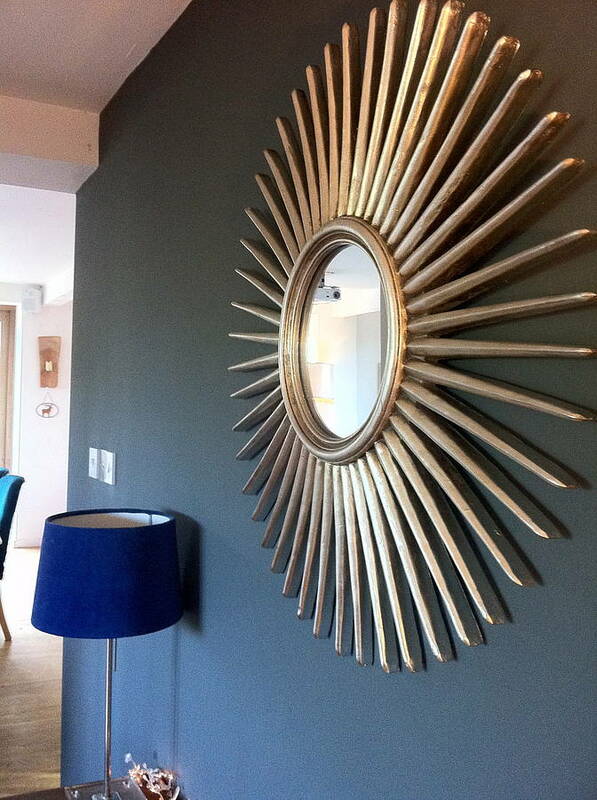 This is a stunning starburst silver wall mirror. 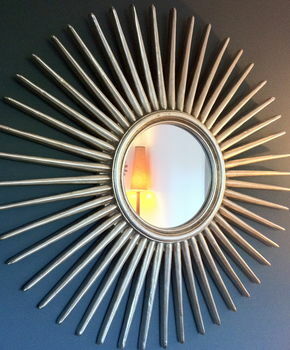 It has a really lovely, contemporary feel, making it a striking piece for any room. 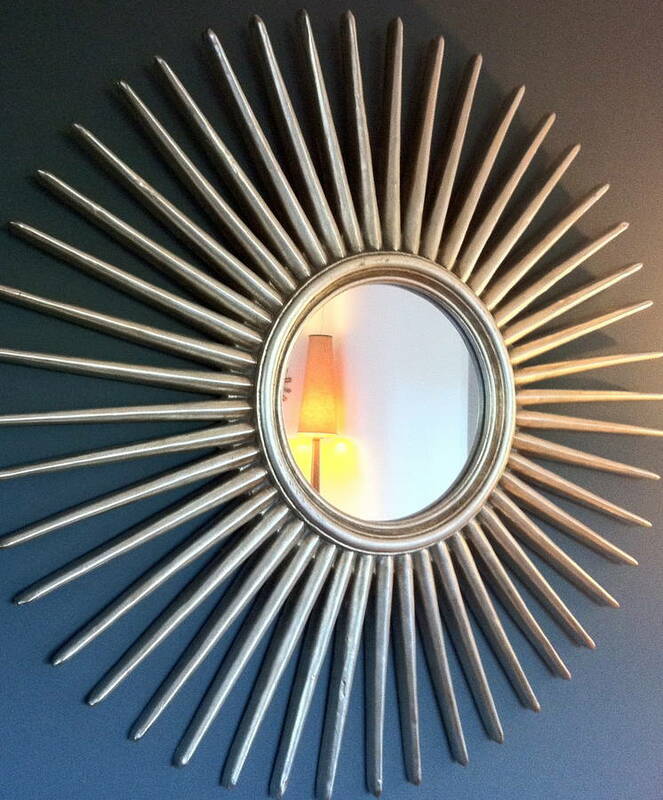 It looks great against a coloured backdrop and seems to be equally suited to period homes and modern homes alike and is fantastic above any fireplace. 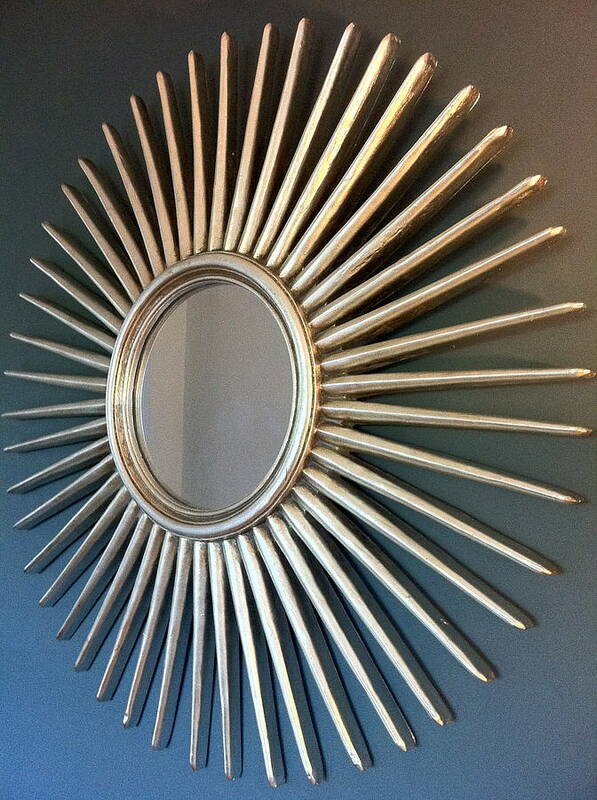 Would make a great wedding or birthday present, or could just be that missing feature for your own home. Hangs with a secure hook on back.